Whatever your reasons for seeking a therapist, it’s important to find a good match. There are plenty of variables that can impact the quality of your experience in therapy, and your desired outcome. Some people simply open the phone book or do a Google search and pick one that’s nearby, or choose a therapist that takes their insurance. While location and cost are certainly relevant considerations, it’s more important to find a therapist you can work well with. After some time clean and sober, it’s common for people to seek out further growth through therapy. Some choose to go into therapy early on to help them through a troubling issue that may be keeping them from succeeding at sobriety. 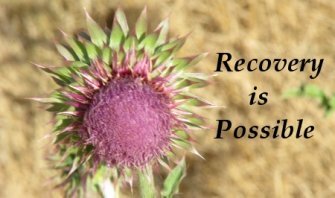 Anyone can benefit from therapy, but those who have struggled with substance abuse often find that therapy is a necessity. There are plenty of reasons for this. For starters, persons with addiction problems are more likely to be survivors of childhood trauma, have likely experienced trauma during their active addiction, and often have years of guilt, shame and anger to work through. The benefits to doing this work are increased peace of mind, overall satisfaction with life and a reduced risk of relapse. While recovery and 12 step programs can go a long way toward helping people through their issues, there are times when therapy provides the extra support and expertise that you just can’t get from peers or a sponsor. For those in recovery, recurring issues related to trauma, resentment and shame can be major triggers and when unaddressed can lead back to substance abuse. Referrals can come from a friend or family member, your physician or from your treatment program. When someone you know gives you a referral, ask them why they are referring that particular therapist. Some people are impressed with fancy credentials or schools, or may simply like their therapy style or office decor. Some may refer you because the particular therapist operates on a sliding scale. If cost is an issue, don’t be afraid to get therapy from an intern. Interns are often very good, and you aren’t just getting their experience and counseling, you are also getting their supervising therapist’s expertise. Don’t for one minute believe that just because a therapist has a website or an ad in the phone book or an office with their name on the door it means they are licensed to practice. When you call to inquire about their therapy services, ask them for it, and then follow up my making sure there are no infractions against it. You’d be surprised. Be cautious with the therapist who handles “everything” and does all types of therapy. You are better off selecting someone to work with who leans toward a specific niche. Have they been in therapy, or are they now? If you have a therapist who states that they have never been in therapy, walk the other way. Why is this? Don’t you want a therapist who has no issues? First, there is no such thing. The very nature of their work lends itself to needing therapy on a continuous basis. Also, many people get into the field because they have experienced dark times in their lives. You want a therapist who has worked on him or herself. Do they have experience working with your particular issue? If you are going to therapy to help you get through a particular issue, let’s say childhood trauma, it is important to ask whether your prospective therapist is experienced in that type of work. Trauma work involves delving into the past, and if your therapist’s primary experience is in helping clients deal with their relationship or anger issues in the here and now, then it might not be a good fit. It’s a good idea to pay attention to first impressions. You may have one when you visit their web page, call their office or meet with them the first time. You may have to physically visit meet with a couple of therapists before you find “the one.” Yes, finding a therapist may not happen on the first try, but it’s okay. You may have to invest a little time but it is worth it. If your first impression tells you that they aren’t the one, go with it. Take a few moments to ask yourself what it was about them that turned you off. Do you have a preference for a male over a female therapist, or vice versa? That’s fine, most people do. It’s always a good idea to check in with yourself and ask yourself why you might feel so strongly against a therapist, but at the same time go ahead and go with your instincts.